Our Odinic ancestors taught that each of us has a guardian who cares for us and gives us warning of danger and help in times of distress. They called this spirit the Fylgie. With the coming of Christianity this concept was transferred to the idea of the guardian angel, and with the deepening of materialist thought has now for the most part been discarded. Yet it is an old wisdom that we would do well to ponder and which has indeed received some sort of back-door recognition in recent years. We feel that this concept of the individual guardian spirit, a truly personal divine force, corresponds roughly to the Jungian idea of the anima/animus. This is the unconscious yet greater part of ourselves of which the “conscious mind” is merely a projection. The part which has access to all the lore in the “well of memory”. The so-called subconscious mind that speaks to us and advises us in symbols or through “hunches” and uneasiness at dangerous times. This is the part of us that says, silently, “cancel your ticket, the Titanic will sink” or “Turn over, have five minutes more sleep, the bus you usually travel on will crash”. This part of our being is immortal and lives in the world of spirit. In part, the process of becoming an Odinic magician lies in deepening your consciousness so that you become one with this unconscious self (it is perfectly “conscious” – the “I” part of you is divorced from it), a process that can be roughly be equated with Jungian “individuation”. To attain this broadening and deepening of consciousness is to release from stagnation your creative and psychic powers. In some ways it is possible for the Fylgie to be considered as analogous with the Christian concept of soul. There is a great difference, however. The soul-concept of Christianity sees the soul as a nebulous, etherial thing, imprisoned in gross matter, a thing which flies off to heaven or hell when the body dies, there to exist in insipid bliss or eternal torture, the bliss apparently being enhanced by the high-minded occupation of observing the torments of the damned. As we have already mentioned, the Odinic concept sees matter and spirit alike as manifestations of the will of Wyrd. Our material bodies are not prisons; they are vehicles generated by our “greater spirits” and carry us in the world of form so that our will may be done in this world. The Web of Wyrd, the cosmic mind, is all – infinity and eternity – continuous creation that creates itself, continuous change that changes itself, an ever diversifying pattern that designs itself. What we know as “time” is merely a way of looking at the pattern. We, our bodies, our spirit bodies, our souls, are all part of the Great Web. Within this multiversal matrix of being, each individual component is connected by the flowing surges and vortices of runic power, the Odic force of which the Web is made. Everything in all the worlds is part of this great flow and any action by any individual component will shake the Web, maybe cataclysmically, maybe a gentle tremor felt only on a sub-atomic level. This is the reason for the apparent “unscientific” success of runic divination, astrology and other oracular techniques. When the Web shakes, some part of us can feel it – our greater spirits are aware of it. These techniques merely focus and enhance the ability. 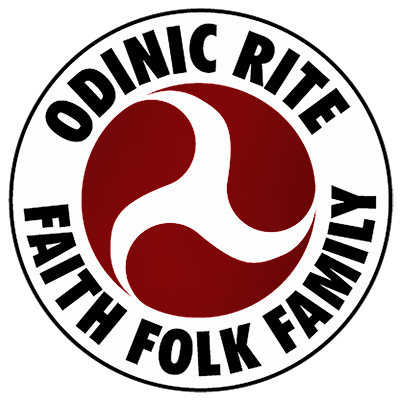 The Odinic magician must learn to recognise and interpret the shaking of the Web and by means of runic forces use his awareness of these vibrations to motivate and control his own life force, his own spirit and his magic. He must become the friend of the Fylgie.